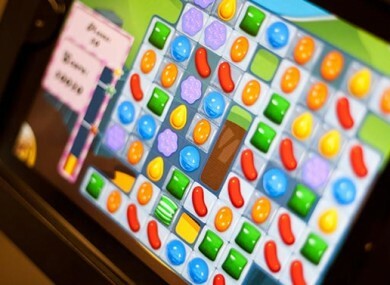 King Digital Entertainment, the games company responsible for Candy Crush Saga, has filed its IPO papers and wants to trade under the ticker symbol “KING”. The Dublin-based company plans to raise $500 million (€364 million) when it goes public, but it hasn’t said how many shares would be available or their price. The company generated profits of €413 million and revenues of €1.36 billion in 2013, the majority came from one game, Candy Crush Saga. The game, which launched in the summer of 2012, generates 78 per cent of King’s revenues and sees 93 million people playing it every day. Its second biggest title, Pet Rescue Saga, has 15 million playing every day. The company is trying to reduce how dependent it is on the one game by launching other titles like Pet Rescue Saga, Farm Heroes Saga and Bubble Witch Saga. Also, its quarterly revenues dropped from €452 million to €442 million, which would concern potential investors if such a trend continues between now and the company’s IPO. Another company reportedly planning its own public offering is the music streaming site Spotify. The company is looking to recruit a US financial reporting specialist, which has fueled speculation that it’s preparing for an IPO next year. Email “Candy Crush Saga makers plan to go public in €364 million IPO”. Feedback on “Candy Crush Saga makers plan to go public in €364 million IPO”.